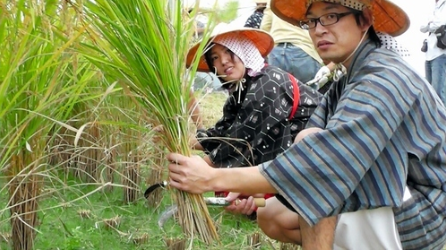 Giving young people the experience of harvesting and threshing rice as it was done in the middle ages at a rice paddy in Bungotakada, Oita, which has been designated as an important cultural landscape of the nation. 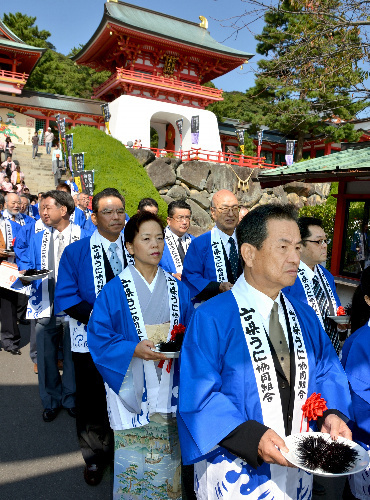 It’s an annual event, and this year 500 people participated. 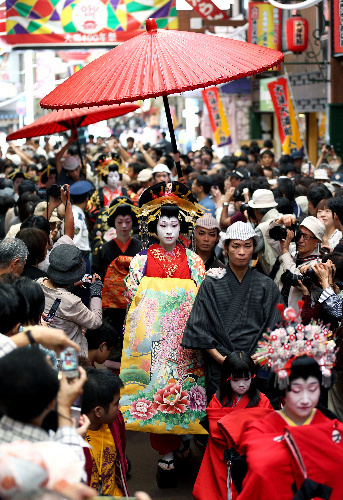 Scenes of big fun from the 61st Ohara Festival in the Tenmonkan shopping district in Kagoshima City. A total of 25,658 people in 325 groups participated in the two day event, which attracted roughly 230,000 spectators. 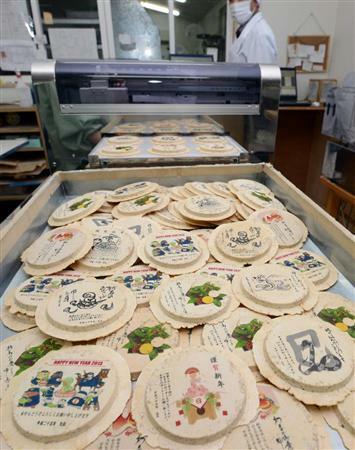 Nanbu senbei (rice crackers) a famous confection from the southern part of Aomori, each containing a New Year’s message. 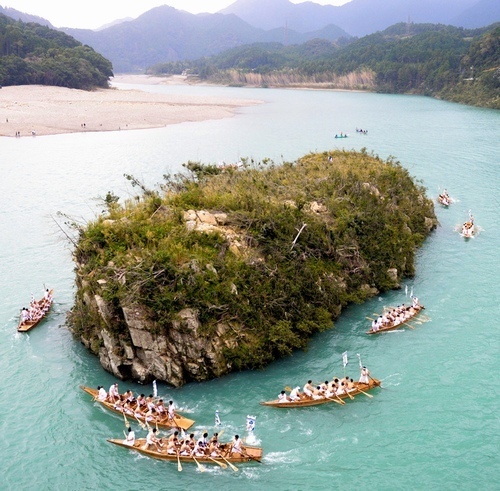 Nine boats with 11 rowers each circle Mifune Island in the Kumano River as part of the Mifune Festival of the Kumano Hayatama Shinto shrine in Shingu, Wakayama. The island is 1.6 kilometers from the starting point for the boats. 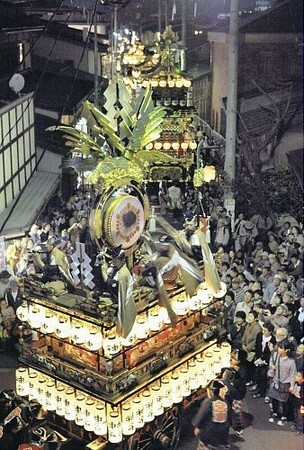 The festival dates from the Heian period, which means it’s about 1,000 years old, give or take a few decades. 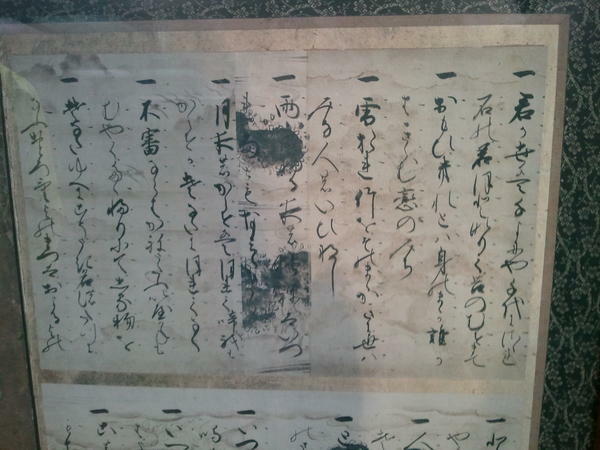 The original text of the waka Kimi ga Yo, which became the lyrics of the Japanese national anthem. 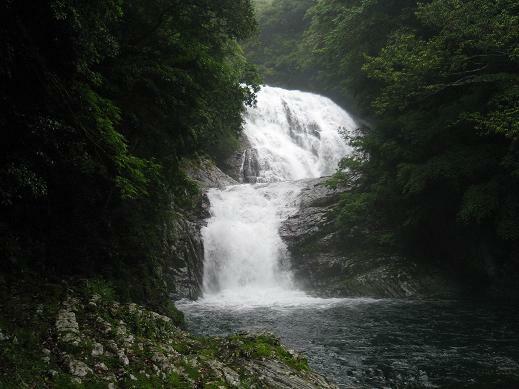 It was published in 905 in the Kokin Wakashu (Collected Waka of Ancient and Modern Times). And here’s what the national anthem sounded like when it was first performed in 1870. 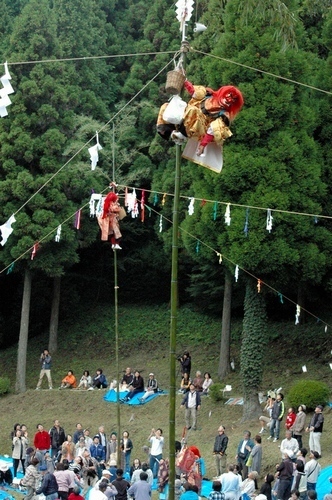 This performance is by a band at the Myoko-ji Buddhist temple in Yokohama. This music was composed by John Fenton, an Irish military band director, in three weeks. It was replaced with the current music 10 years later because it was thought to lack solemnity. It is performed annually at the temple because Fenton also served as a military band leader there, and it beats the heck out of me why a Buddhist temple hired a military band leader from Ireland. A festival for offering the uni, or sea urchin, back to the sea as a gesture of thanks, conducted by the Akama Jingu in Shimonoseki, Yamaguchi, where a lot of them are caught. The local sea urchin cooperative is the sponsor. 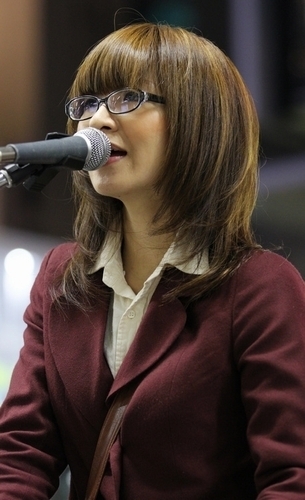 This year’s event was the 54th, and about 100 people in the industry participated. 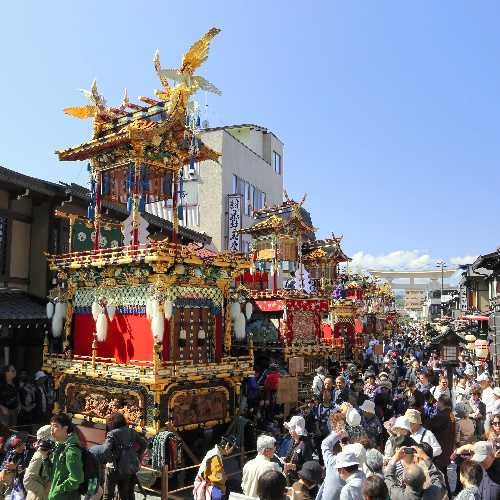 The Takayama Fall Festival in Takayama, Gifu. 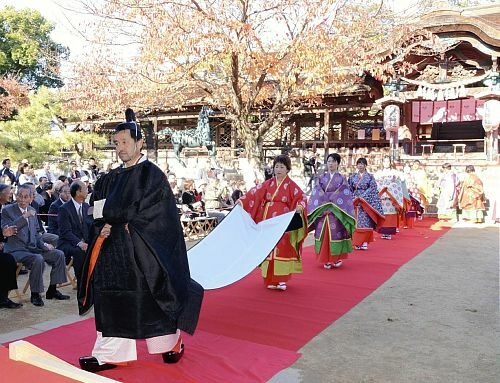 An important intangible cultural treasure of the nation that dates from the Edo period, one of the hallmarks of the festival is the competition between the artists and artisans of each neighborhood to show off their talents and skills. 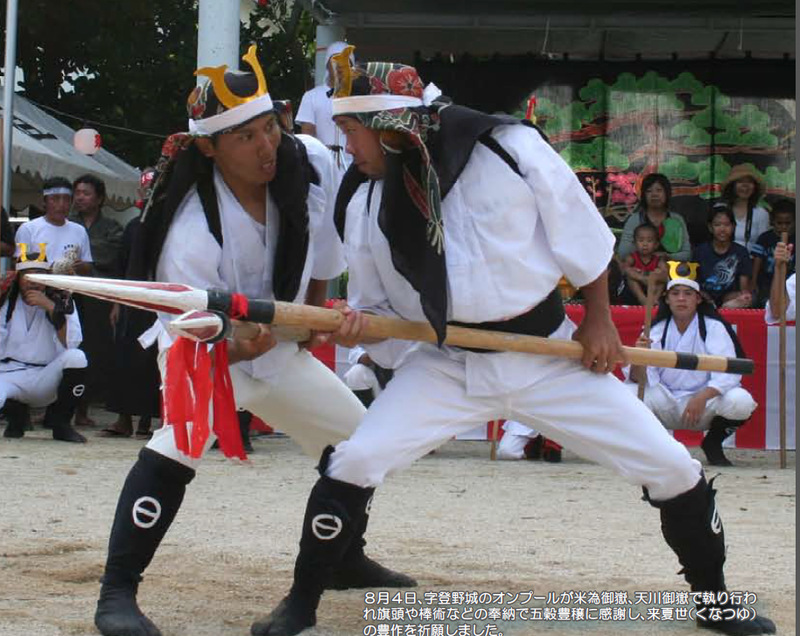 Martial arts performance offered as thanks for a bountiful harvest every summer in Ishigaki, Okinawa. The Senkaku islets are part of Ishigaki. 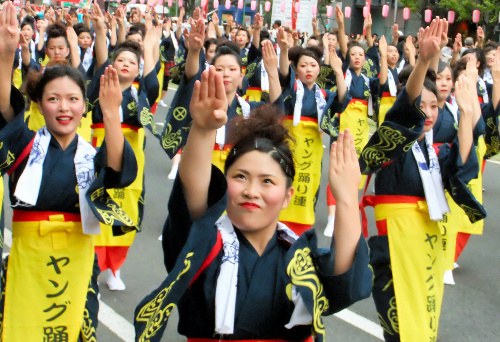 The annual Osu Street Performance Festival in the Osu commercial district of Nagoya. 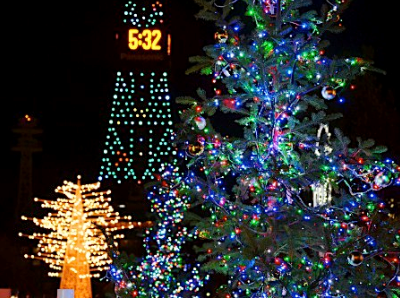 It features 50 performing troupes and attracts about 400,000 spectators. The photo above shows a woman dressed as an oiran, Edo period courtesan/entertainers. They often became celebrities, and were supposed to be skilled in the tea ceremony, flower arranging, calligraphy, and be knowledgeable about scholarly matters.